Happy Memorial Day! I have an easy recipe for you that will add a little bit of different flavor to your summer time barbecues. 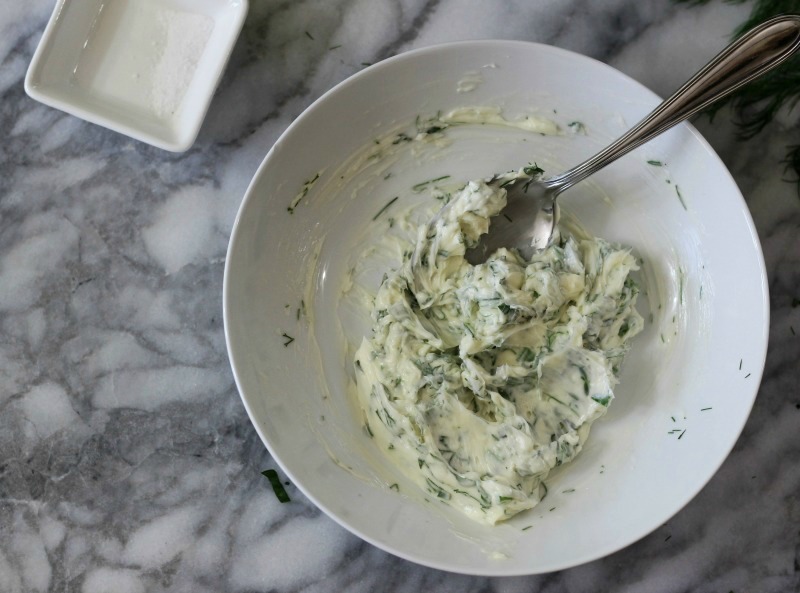 It’s so amazing and so easy to make too, it’s my Herb Butter. This weekend I went to the Farmers Market and picked up some fresh dill and parsley, and used some fresh thyme from my garden to make today’s recipe. This butter adds so much flavor to corn, potatoes, bread and anything savory that you would use butter on. 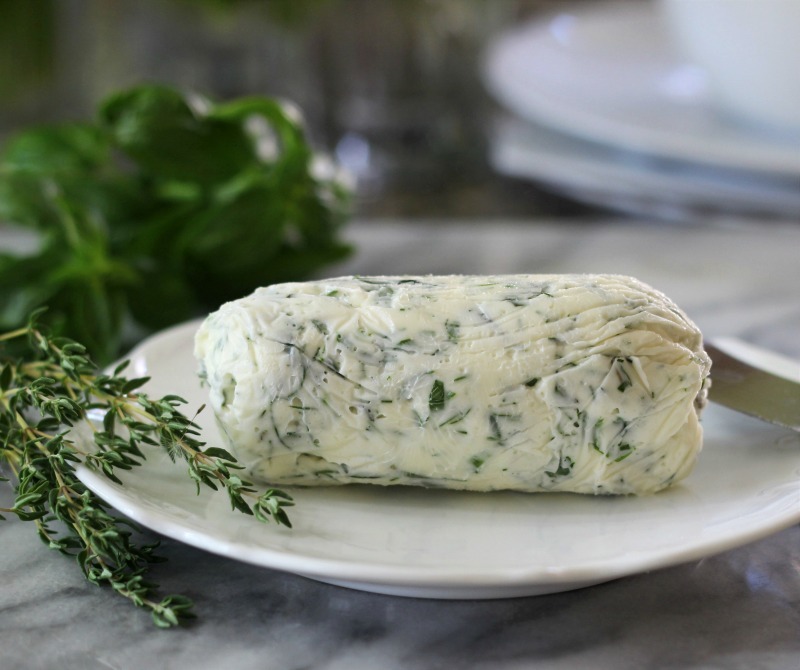 The herb butter is made with parsley, dill, thyme, chives and basil and just a pinch of salt. It will add such a light, fresh flavor to your meals. I smothered it on my corn on the cob. 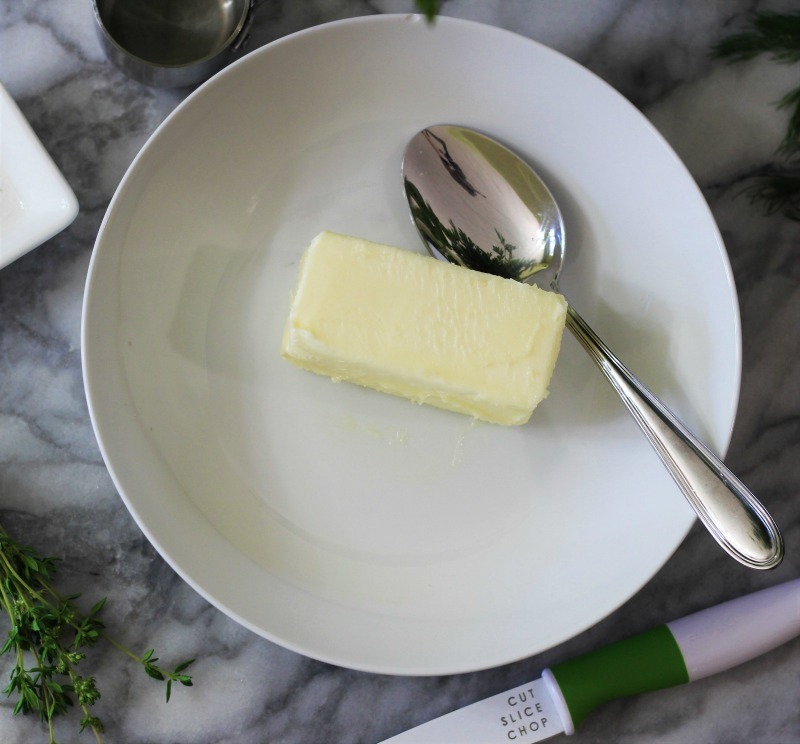 I am so loving this butter and it is such a breeze to make. I started out with room temperature butter. I added 1/4 cup of freshly chopped herbs and just a pinch of salt. Mix until well combined. Take a piece of plastic wrap and place your butter into the center of the plastic wrap and roll into a log. Easy peasy. Place the butter into the refrigerator for an hour to chill. If you prefer, you can also add the softened butter into little ramekins for cute shapes and to serve individually. I went for the log shape because I find it easier to slice, plus I can slice off a piece and pop it onto my warmed vegetables and the butter will melt everywhere spreading the flavor. Yum! 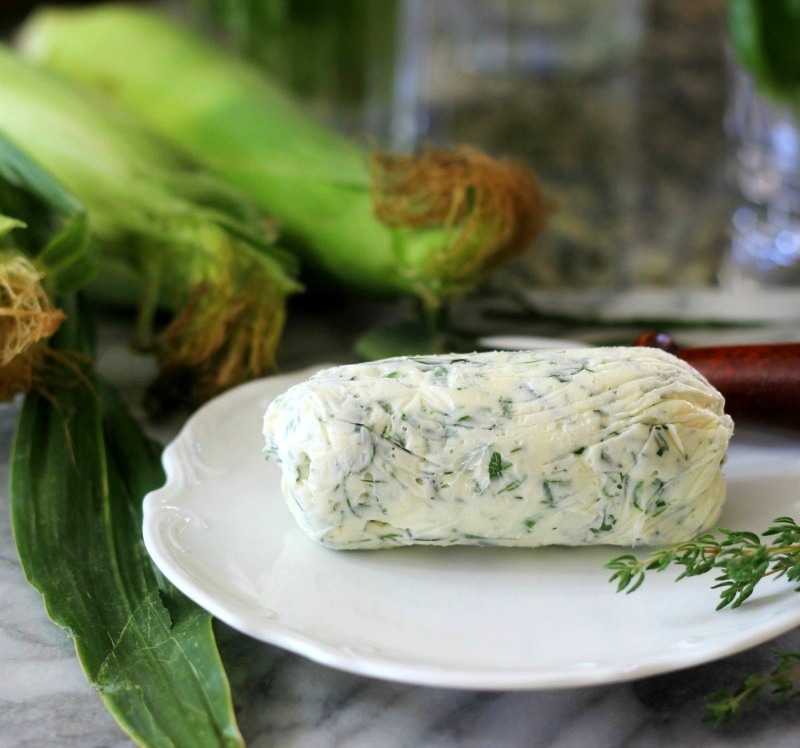 A light, refreshing creamy butter that is flavored with fresh herbs. It is perfect on corn, potatoes, bread and more. In a small bowl, add butter, herbs and salt. Mix until well combined. 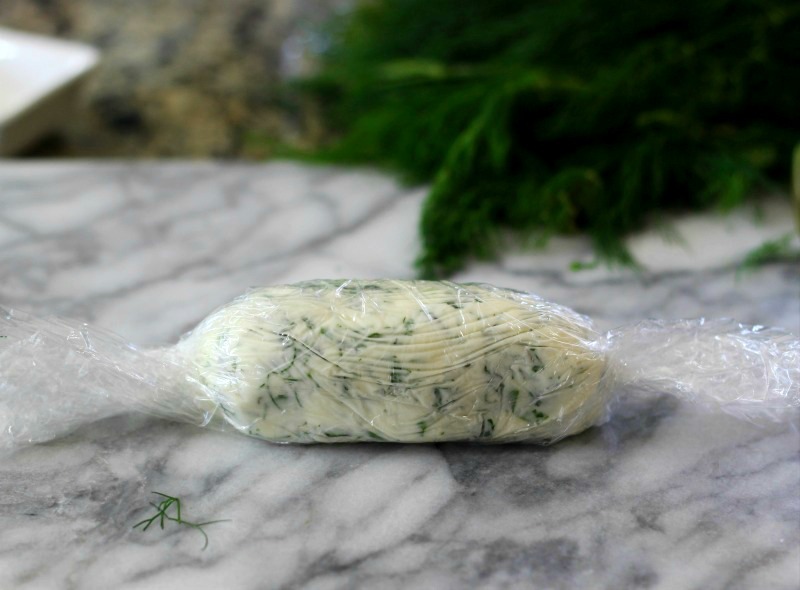 Place butter onto plastic wrap, shape into a log. Twist the end of the plastic wrap and place in refrigerator for at least one hour. Will last up two weeks in the refrigerator or can be frozen for up to 3 months. You can easily, double or triple this recipe. 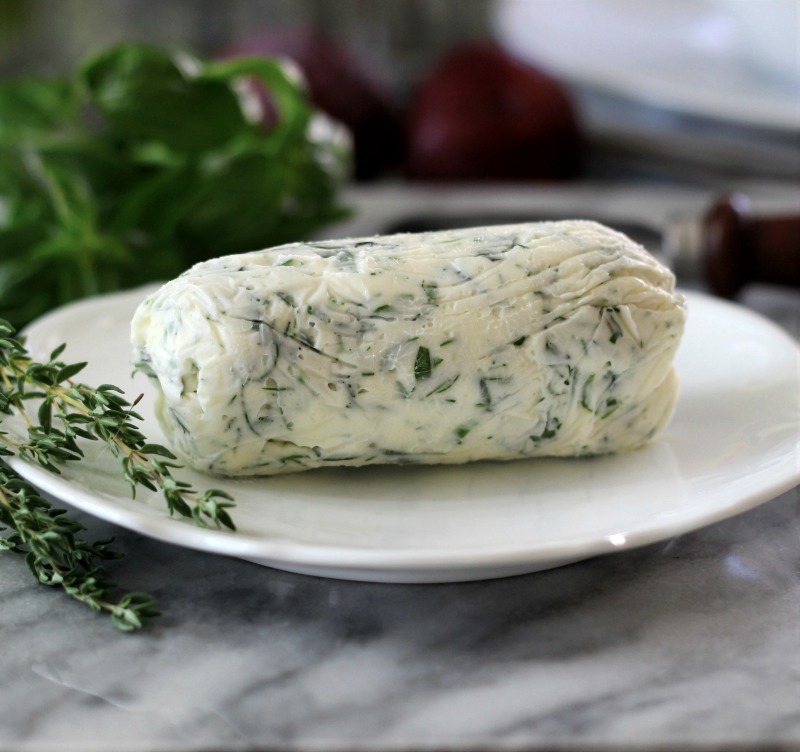 Just be sure to add ¼ cup of herbs per ½ cup of butter. You can also add other savor flavors like garlic and oregano. I hope you enjoy this butter as much as I do. It just adds a different flair to your meals, plus it’s fun to make. Not to mention if makes a great use for herbs that you may have to use up. I know I will be making this all summer.